Fan W, Tezuka Y, Komatsu K, Namba T, Kadota S. Prolyl endopeptidase inhibitors from the underground part of Rhodiola sacra S. H. Fu. Biol Pharm Bull 1999; 22:157-61. Peng JN, Ge YC, Li XH. Studies on the chemical constituents of Rhodiola fastigita. Acta Pharmaceut Sin 1996; 31:798-800. Lishmanov I, Naumova AV, Afanas'ev SA, Maslov LN. Contribution of the opioid system to realization of inotropic effects of Rhodiola rosea extracts in ischemic and reperfusion heart damage in vitro. Eksp Klin Farmakol 1997; 60:34-6. Schriner SE, Lee K, Truong S, Salvadora KT and et. al. 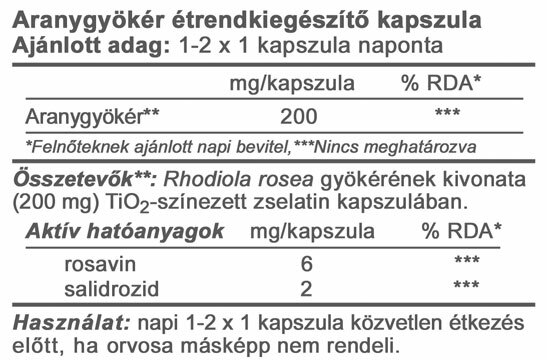 : Extension of Drosophila Lifespan by Rhodiola rosea through a Mechanism Independent from Dietary Restriction. PlosOne 2013; 8:1-9.